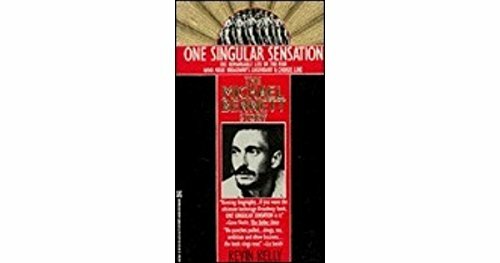 Hard on the heels of Denny Martin Flinn's What They Did for Love and Ken Mandelbaum's admirable A Chorus Line and the Musicals of Michael Bennett (both LJ 6/15/89) comes the first full biography of the Broadway director-choreographer. Boston theater critic Kelly interviewed those closest to Bennett and explores his personal and professional relationships and love affairs with sometimes brutal honesty. Kelly is never tentative, and his account is far more gossipy and at times more spiteful than the others. Kelly does provide a fine balance between the life and the career, although Mandelbaum goes into greater detail about the shows. Bennett's creativity may have been undeniable, but despite claims of his enormous popularity and charisma, all three books point out his repeated cruelties and immense ego, so that the cumulative effect is an intense dislike of the man on the part of the reader. Kelly's biography should be the talk of Shubert Alley for some time to come; theater collections will need both Mandelbaum and Kelly for completeness.<br /><i>- Eric W. Johnson, Univ. of Bridgeport Lib., Ct.</i><br />Copyright 1990 Reed Business Information, Inc.
Cashiers Check, Money Order, Personal Check, Visa, Master Card, Discover, and PayPal accepted. Michigan residents add 6% sales tax. Books subject to prior sale. Once confirmed, books held for ten (10) days pending receipt of funds. Orders paid by personal check shipped on the 8th business day after receipt. All other orders shipped within two (2) business days.